Use cored fruit to make beautiful centerpieces for your next birthday, 4th of July party or even a nice green wedding! The cored fruit can then be used for a fruit salad, for no waste! Just fit a water soaked piece of green floral oasis inside the cut fruit, then stick the various plants/flowers in somewhat close to the fruit's base. A rule of thumb for arrangements is to first put in 3 equally spaced plants/filler flowers, then add 5 plants spaced evenly apart. One or two plants/flowers can be the flashy, display flower (my sunflowers in this case) as the focal point and your color theme. I used simple ferns and wild plants growing on my property for most of the arrangement. 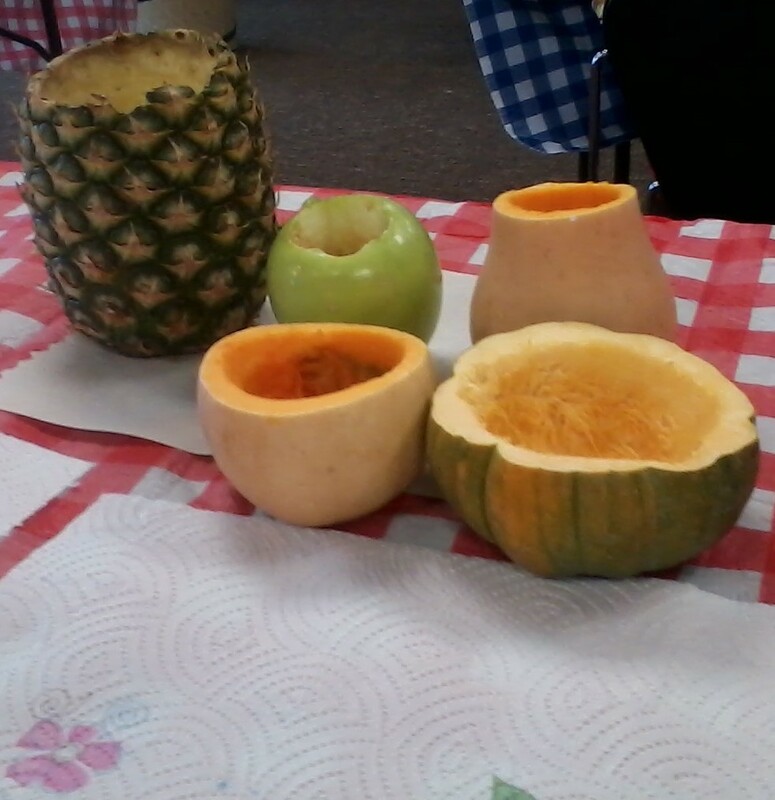 Pictured bases are gourds, apples and a pineapple! 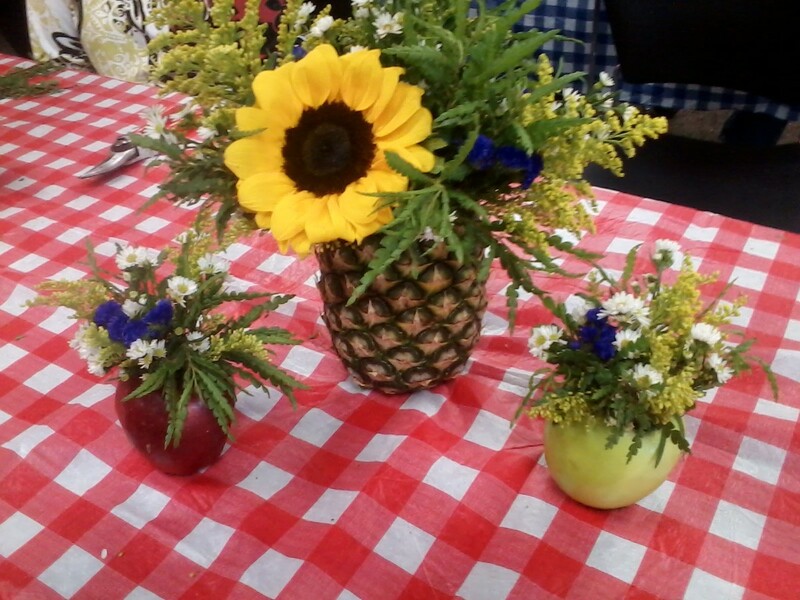 Either use a pineapple and apple corer (don't cut through the bottom though!) 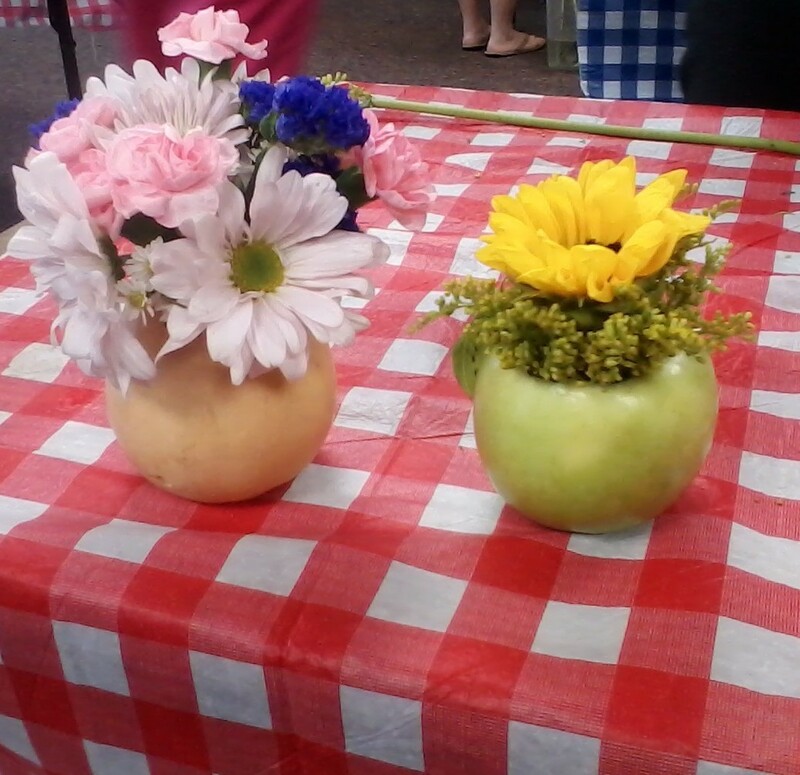 OR just use an small melon scoop or knife to cut out the fruit inners. Simple but oh so pretty! They keep for about 5 days too. Source: A local library program!